Sebastian Vettel admits he is still not comfortable in his new Ferrari car and has to improve - but hopes to have a better feeling at the Chinese GP. The four-time world champion span during the Bahrain GP when battling Lewis Hamilton for second and was three tenths off team-mate Charles Leclerc's pole time, while he also struggled in Australia's season-opener. Vettel had posted the best times of pre-season testing but the German admitted he hadn't felt as comfortable in F1 2019's opening races. "I wasn't happy with my performance [in Bahrain], not happy with the feeling yet with the car, the feeling that I had prior to the season in testing," Vettel told reporters in Shanghai. He added: "It's normal that you never get the car that you want so you always have to adapt. Very rarely you get races where the car is absolutely fine and you have nothing to complain about. "I think the [in-season] test was very helpful and useful to get some laps in the car and I think we learnt some things about the car, car behaviour that maybe we couldn't in Barcelona because we were looking at other things. The behaviour in Barcelona was very strong so hopefully I have a better feeling in the car this weekend." Hamilton had leapt to the defence of Vettel after Bahrain, backing his title rival to bounce back from his latest spin. 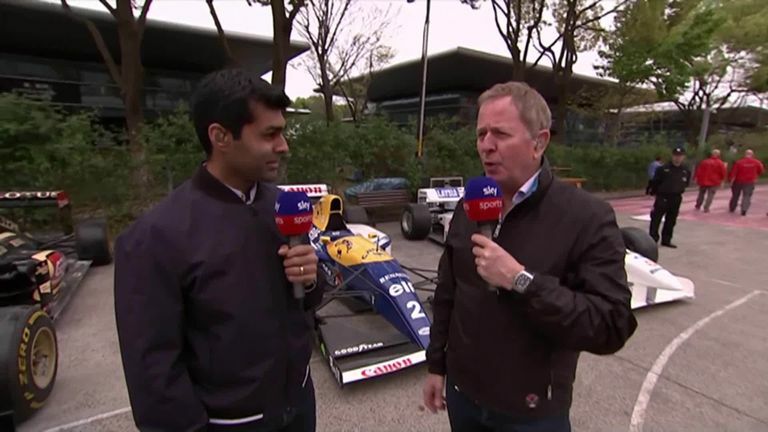 "I didn't know he had said anything nice but it's nice to hear," Vettel said when told of the message. "Maybe he's the only one that doesn't lack a short-term memory. We've been around a long time and as much as I want to beat Lewis, he wants to beat me but sometimes you never know what exactly is going on with other people in other teams." Vettel also suggested he had no issue with Leclerc ignoring a Ferrari team order before he reclaimed the lead of the Bahrain GP. 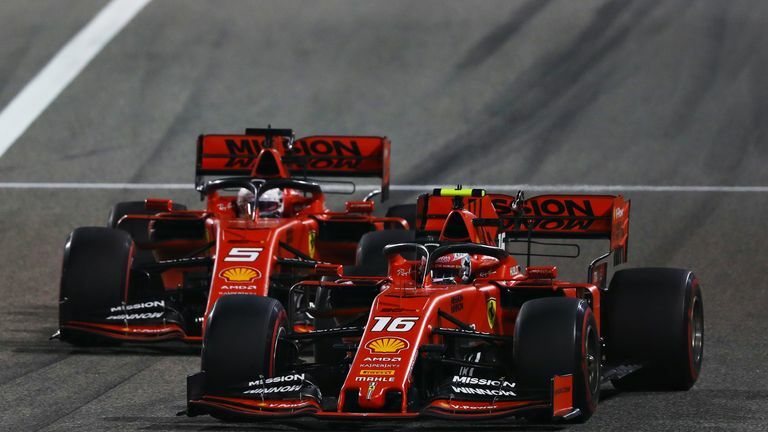 Ferrari had told Leclerc to hold station for two laps behind Vettel on Lap Five, but at Turn One on the next lap the youngster surged past his team-mate. "I'm not surprised," Vettel claimed. "It is quite clear that he was quite a lot faster at that point. I could have passed him back on the next straight but I judged it that it's going to lose me more time and him more time. "It didn't go my way on that Sunday so at that point it wasn't about holding Charles' Sunday back." Leclerc explained he felt the pass had been safe and insisted there had been no change in his relationship with Vettel around the incident. "I had the opportunity and I went for it," he said. "I think I showed in Australia that the interest of the team is extremely important but in this particular situation I think I had quite a big pace advantage at that moment in the race. "I had the opportunity on the straight and I didn't see myself lifting and staying behind. I went for the opportunity, it was a safe pass and I went for it. "From the beginning we both want to beat each other and that's normal in any team. We have found a very good compromise by competing with each other on the track and working together when out of the car which is extremely important for the team and the development of the car." Despite many expecting Ferrari to be clear favourites for victory this weekend given the straight-line speed the Scuderia have shown, Vettel expects a tight battle at the front and tipped Red Bull to pose a sterner test. "We learnt our lessons from Australia and should be in a better place here," Vettel said. "The error on Charles' car in terms of reliability is understood and we should also be in a better place so looking forward to a good weekend hopefully. "We need to get everything right. It is extremely tight at the top, I expect Red Bull to be closer here than they were in Bahrain. I think it will be very close so we need the speed wherever we can find it. "Our ambition is to be fast everywhere, not just on the straights."